Here at our driving school in Oxford, we keep it simple. Book your driving lessons with Drive Oxford, and we will guarantee an exceptional level of teaching at a constant, affordable price. All driving lessons in Oxford will be tailored to you, and your instructor will make learning to drive as easy and enjoyable as possible. Our driving school boasts an incredible 92% overall pass rate and our average pupil passes in just 26 hours, a fraction of the national average which is 48hrs. We have a number of instructors available to provide both manual and automatic driving lessons starting from as little as £25 per hour. 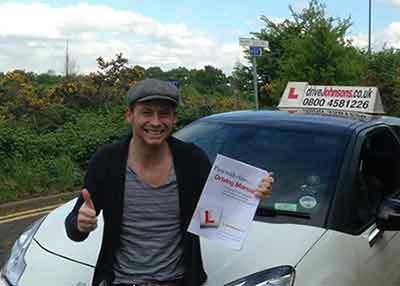 We only use fully qualified driving instructors in Oxford – never trainees. This ensures that you have the best chances of passing first time. Our driving instructors are also local and know the test routes, meaning they can teach them to the highest standard, boosting your confidence going into the day of your driving test. We also provide intensive driving courses in Oxford for those who want to pass faster than usual. We can get you passed in as little as one week. Simply book a taster driving lesson and one of our instructors will be able to tailor an intensive course to your needs. intensive courses remain the quickest and most efficient way to pass quickly. Driving Lessons in Oxford aren’t cheap, so we want you to learn as quickly and as safely as possible. When you start your first driving lessons with us, you will receive all of the free resources listed to help you save time, money and give you the best possible chance of passing first time. If you’re struggling with manual lessons, we have a number of qualified instructors available that offer automatic driving lessons in Oxford. All you need to worry about is the gas, braking and your observations. However, passing your test in an automatic vehicle does limit you to an automatic licence. Lessons cannot remain low forever – Book your lessons today or purchase a gift card!